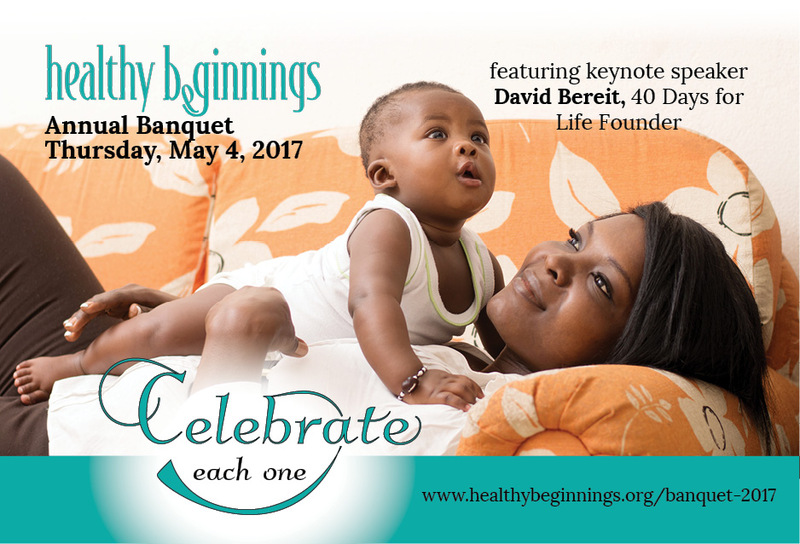 Healthy Beginnings’ Annual Banquet supports our Christian, pro-life ministry of providing quality prenatal care to under-resourced women in greater Cincinnati. This year’s event will feature keynote speaker, David Bereit, founder of 40 Days for Life – the largest internationally coordinated pro-life mobilization in history. There is no cost to attend, but an opportunity to make a financial gift will be extended.